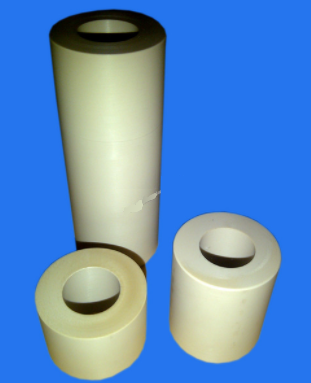 We are a leading Manufacturer & Exporter of Polyether Ether Ketone Products. Our product range also comprises of PTFE Rod, Extrusion PTFE Rod and PTFE Round Bar. Owing to the rich industrial experience, we have been able to offer Polyether Ether Ketone Cubes to our valuable customers. 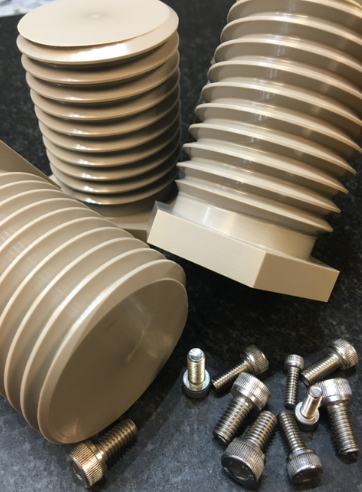 Available with us at a cost-effective market price, the offered organic polymer thermoplastic is widely used for different engineering applications such as in the manufacturing of the bearings, piston, and pump parts. To ensure a flawless range, the offered products are rigorously checked on various parameters of quality by our quality controllers. We are one of the prominent manufacturers, traders, and exporters of high-quality Polyether Ether Ketone Components. Available products are widely used for various engineering applications such as the manufacturing of compressor plate valves and cable insulation components. To ensure high standards of quality, the offered products are manufactured using cutting-edge machinery and latest technology. We hold expertise in offering high-quality Polyether Ether Ketone Rings to our prestigious customers. Manufactured as per industry set standards, the offered products are widely used for various thermal insulation applications. Available with us at highly affordable market prices, the offered products are known for their low maintenance and excellent performance. As per the specification provided by our customers, the offered products can be custom designed. Looking for “Polyether Ether Ketone Products”?